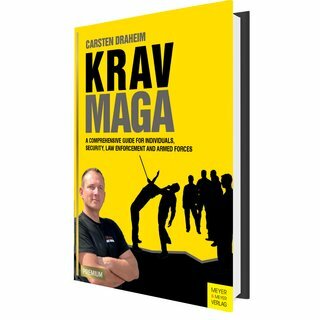 Carsten Draheim, born 1975 in Germany , is one of the best known Krav Maga instructor in German- speaking countries and author of the book ?Krav Maga ? a comprehensive guide for individuals, security, law enforcement and armed forces. As a civilian, he teaches members of police and military units but also ordinary people in daily self-defense training. Besides, he is the owner of Krav Maga Institut which is one of the biggest providers worldwide with more than 1,700 students, and 3500 teaching modules per year. The author presents all of his broad experience and knowledge in this supplement to Krav Maga lessons. His book decodes the system of Krav Maga and explains its elements instead of limiting itself to the presentation of techniques. In so doing, it provides valuable instructions for teaching this system of self-defense. Carsten has been training self-defense since his childhood and is the owner of Krav Maga Institut, the biggest provider in German-speaking countries. He is assigned by the German Ministry of Defense to instruct soldiers of the Federal Armed Forces in close combat. As the only civilian he took part in Krav Maga trainings for police operations at the German Federal Criminal Police Office, among others. Being a SWAT Instructor he teaches members of the military, Security and police internationally.